I have recently been testing out this line of products to review, I have very dry skin that is red and irritated on the cheeks and my skin has been showing the wonderful signs of aging throughout the years. 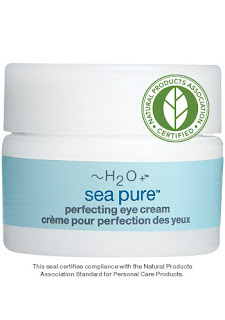 A fast-absorbing eye cream formulated to help visibly repair and refresh the delicate skin around the eyes with cell-renewing amino acids, jojoba seed extract and Atlantic sea flora. I don't normally use eye creams, I didn't see a huge difference in how my eyes normally felt/looked so for $32 I'd probably not find myself repurchasing this. If I did feel the need to buy another eye cream I would probably reach for a Yes To brand since it's affordable and easy to get at a local grocery store. 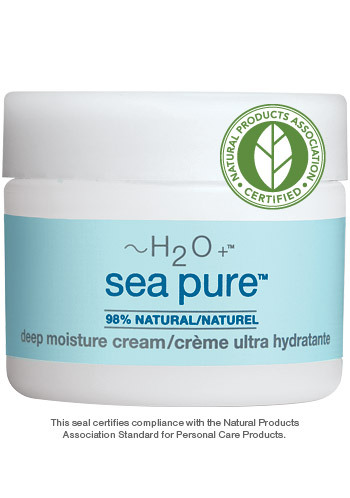 An intensely nourishing cream that helps visibly repair damaged skin and stimulates healthy cell growth with cell-renewing amino acids, jojoba seed extract and Atlantic sea flora. This moisturizer was kind of different from what I'm used to using. When you apply it, it tends to not sink in very well. I usually would wet my fingers a little and massage it in that way, it does leave my skin soft but I also found that I was breaking out around my chin a lot. I will probably try it out again without using the other stuff to single out if it was this or something else causing it from the line. Currently though for $40 I'm not sure I would repurchase, I will give further feedback later on down the road after I've tested it out some more on it's own. A gently exfoliating scrub massages away dull surface cells to reveal visibly brighter, smoother, glowing skin with bamboo extract and sea moss. 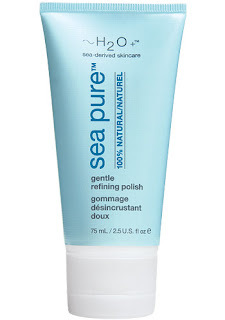 This one I'm not sure I like, then again one of my favorite more expensive ones is Suki Exfoliate Foaming Cleanser. I like that one because it really leaves my skin feeling soft and clean, and I have occasionally gotten some on my lips and it's all organic/natural so I just ended up tasting sugar and lemon....kind of like a lemonade. This H20 one is pretty gentle and doesn't seem much like it's exfoliating, it also leaves kind of a baby oil feeling after I try to rinse it off I can feel it on my lips. 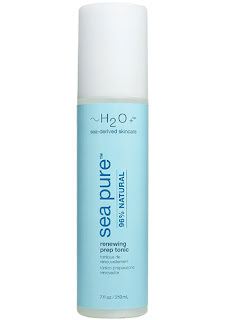 A creamy, foaming cleanser that gently washes away makeup and impurities without stripping the skin's natural oils with Cell-Renewing Amino Acids, Apple Proteins and Sea Moss. 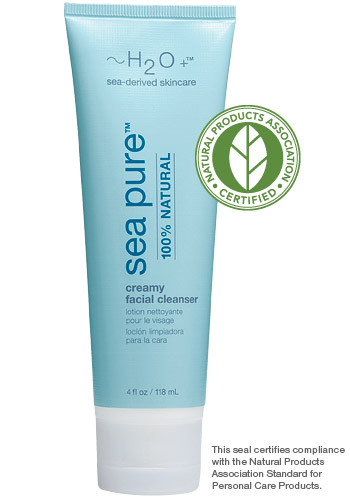 I did feel like the facial cleanser cleaned my skin without irritating it, it did feel soft and hydrated after. I need to test this one out alone to see ensure it wasn't this that was breaking out my skin (I have a feeling it might have been the refinishing polish though). This is one of the two products I would possibly purchase again, remember though not everyone's skin reacts the same to products so I'd suggest to get a trial size if available on any of the products you'd want to test out first. 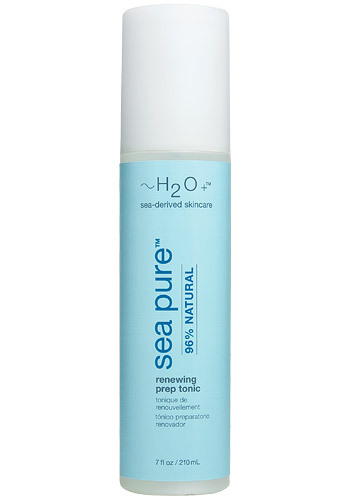 An non-drying toner to revitalize skin and enhance the effectiveness of moisturizers with Cell-Renewing Amino Acids, Alpha Hydroxy Acid and Sea Moss. This is another of the products I would repurchase, I was trying to place the smell....it almost reminds me of a more lemon/lime 7-up smell. Maybe that's just me though! It leaves my skin feeling refreshed without being a horrible overpowering scent. It does the job without leaving my skin irritated or tight and dry feeling. Disclosure: I received these sample products complementary from BeautyStat for review, however this review is my own honest objective opinion on these products. I am slightly skeptical of any marine-based skincare line that describes their ingredients as "Water-rich Atlantic sea flora." What does this exactly mean? 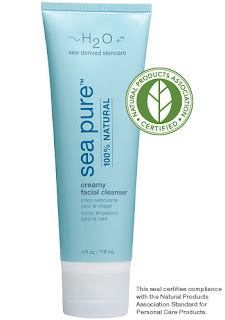 I went on their website and found that they use seaweed extracts. By heating seaweeds you significantly reduce the nutritional elements. Moreover, where do they purchase their extracts from? Seaweeds do not filter the good from the bad in the ocean so if you are using a seaweed-based line you want to ensure that it comes from a clean ocean area. 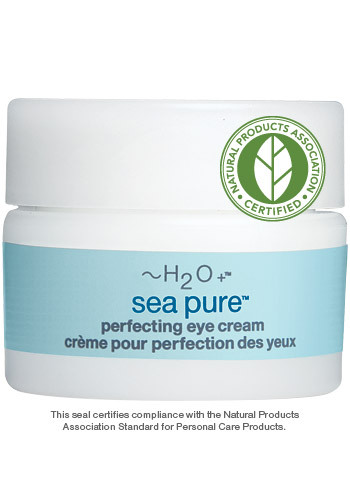 There are only two thalasso-based skincare manufacturers voya (Ireland) and seaflora skincare (Vancouver Island) that manufacturer skincare from raw ocean ingredients. I recommend trying both!